Volume #6 in the high calibred Funk Mundial series, who has brought us tracks by Stereotyp, Count+Sinden, Crookers, Seiji and Makossa Megablast, presents Baltimore’s finest. Yes, we are talking about Baltimore Club here, the irresistible breakbeat-based party music from the former industrial city next to Philly and DC. A city which bred a pragmatic in your face block party sound that brings together the best of both hip hop and house music. For the first time, Baltimore meets up with Rio De Janeiro in Funk Mundials Vol #6 and the city collab surely brought some delicious dancefloor fruits for every DJ. For the newest volume in the series, Man Recordings teamed up with the top cats from Baltimore’s Unruly Records to create three irresistible Baile Funk-Baltimore hybrids. Scottie B, undisputed crownholder of the Baltimore Club sound – who recently remixed The Rapture, Justice, Edu K and M.I.A. amongst others – pairs up with Rio based MC Moleque Bil, who is a steady member of the infamous Bonde Do Sonho, a fierce baile funk crew regularly block rocking favelas in the North Zone of Rio De Janeiro. In „Mais Ela“ Bil sings about a party loving girl who gives her bootie away to anyone that makes her dance right. In his trademark fashion, Scottie B twists the voice of Bil into a mad staccato and brings in the right beats. King Tutt, another Bmore legend, put Moleque Bil´s vocals unto a more straight beat, which equally causes dancefloor mayhem. The flipside of the release sees upcoming Baltimore talent Say Wut, who teamed up with the gifted young MC GUS, who hails from Laranjeras in Rio De Janeiro, and is a steady collaborator of MC Gringo. For “Vai Sentari”, Say Wut stepped up the common Bmore flavour into a funky break beat monster, that shines with MC Gus’ beatboxing and an irresistible bassline. 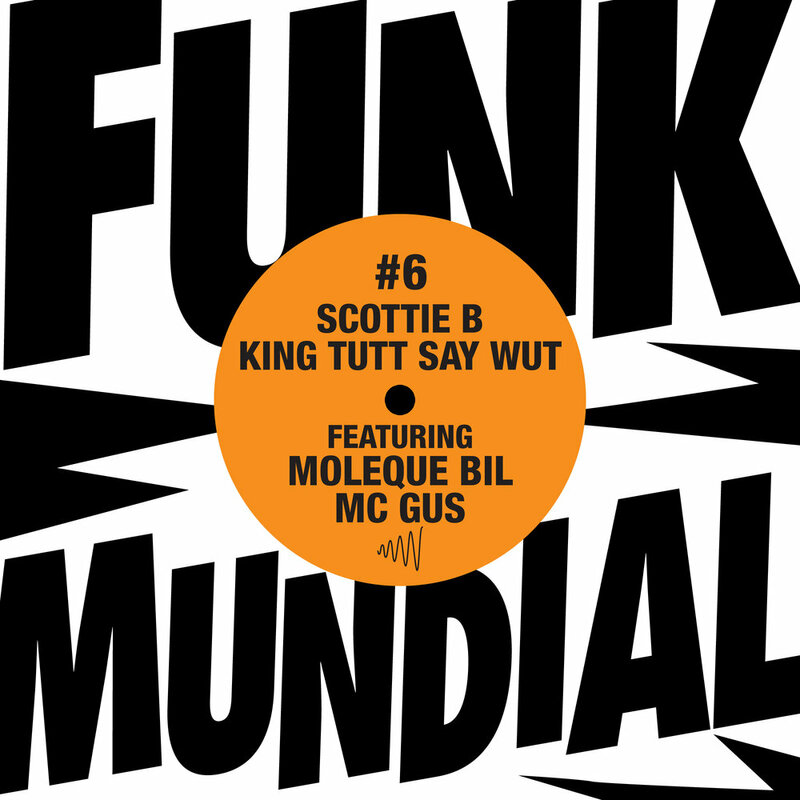 Funk Mundial #6 – shake your booty to the world’s first ever Baile Funk-Baltimore Club collaboration.